Yes, after a couple of good movies like Sultan and Bajrangi, Salman is back with his “keep-your-brains-at-home” type of movies giving an expression-less performance. Or another ‘Salman Khan Rojgar Yojana’ type of movie giving job to Bobby Deol and Daisy Shah. What’s Good: Anil Kapoor looks and one action scene. What’s Bad: Perhaps the most weird and laughable “bhai ki entry”. From illegal arms to drugs, from politics to family, the script has all in it accompanied by a faulty screenplay. Action is below standards given that the Race series belongs to action genre. Performance: Nothing exceptional from anyone other than the evergreen Anil Kapoor. Music: regular placement of songs adds the boredom. Not even one song is worth to be cherished later. Verdict: watch it only if you are a die hard fan of Salman and his shirt removing scene. Others, you can skip the race and enjoy the festive weekend. Watch it only if you are a die hard fan of Salman and his shirt removing scene. Others, you can skip the race and enjoy the festive weekend. 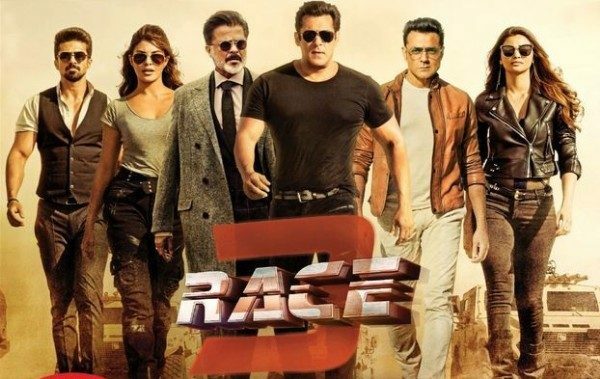 Race 3 is not entirely unentertaining but it is majorly disappointing. Starring an uninterested Salman Khan, the movie is for those Bhai fans who have watched Tubelight & Jai Ho in theaters.